Injectidry's DIRECT-IT Universal Air Mover Adapters are specifically developed to target areas which need high air exchange rates. The Direct-It Universal Air Mover Adapter is a must-have for serious contractors. 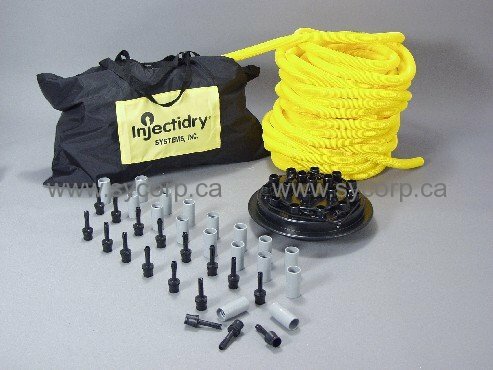 With the ability to attach to most standard air movers these adapters make your air mover inventory much more versatile. Easy to set up in minutes giving you the ability to replace replace fewer walls, ceilings, and hardwoods. All components are heavy-duty industrial quality for extra long life. Dry up to 22 feet with one air mover!